He’s returning from summits in Singapore and Papua New Guinea. 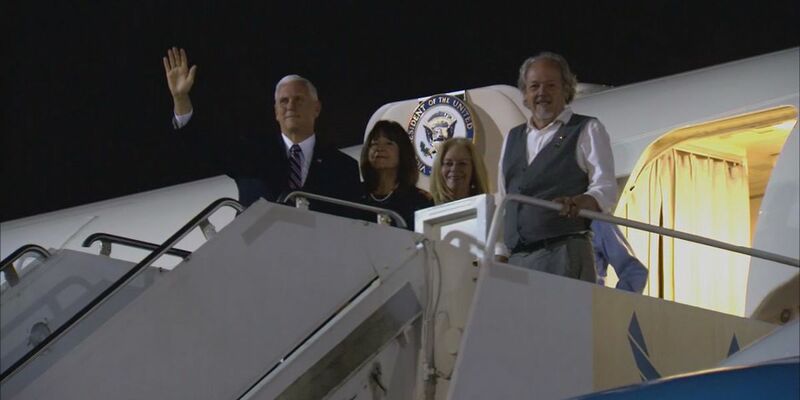 HONOLULU (HawaiiNewsNow) - Vice President Mike Pence is expected to make a pit stop in Hawaii Sunday morning. Pence will be traveling to Hawaii from summits in Singapore and Papua New Guinea to refuel before heading back to Washington D.C.
Good news: No major disruptions to traffic are expected as VP Pence isn’t likely to make any public appearances. Instead, he will be at Joint Base Pearl Harbor – Hickam and remain there for the short time frame. It’s likely some air space restrictions will be put in place. Pilots are urged to click here for the latest details.